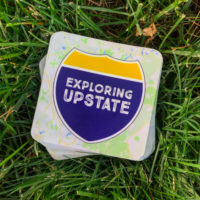 For those who might be new to Exploring Upstate, I first began writing about my explorations through New York in 2011. At that time, I was sharing the writing and traveling with a good friend. 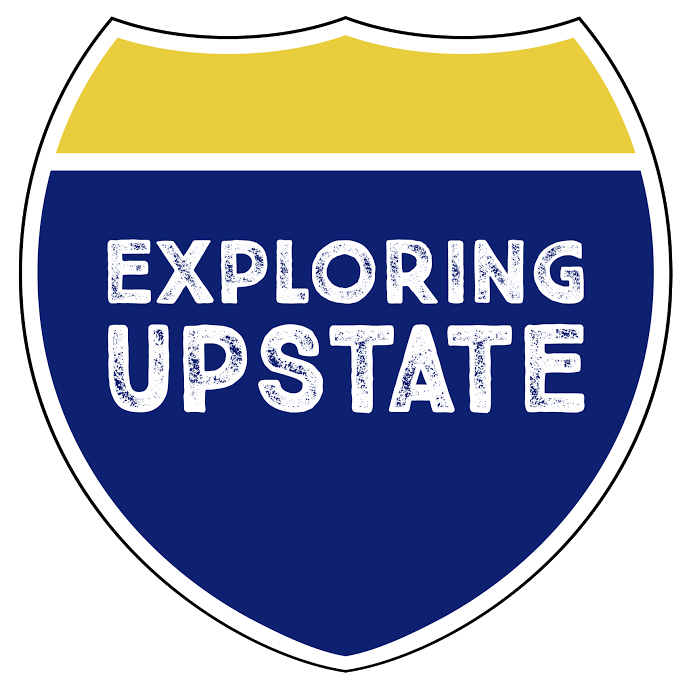 Our adventures were specific to the religious and spiritual locales of the state; of which there are many! 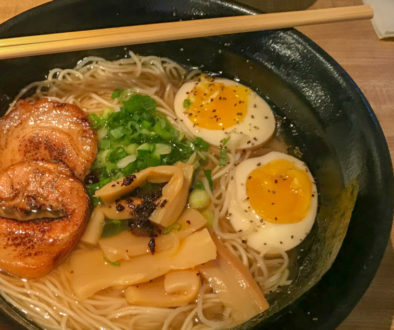 During that time, I began to learn just how much of New York’s culture is woven with threads of Judaism. Did you know that the “I ♥ New York” logo was created by Milton Glaser, whose parents were Jewish immigrants from Hungary? Or, that the words on the Statue of Liberty “…give me your tired, your poor, your huddled masses…” were written by Emma Lazarus, a New York City poet born unto a large Sephardic-Ashkenazi Jewish family? How about the fact that the Catskills were once colloquially referred to as “The Jewish Alps” because so many families from New York City would vacation there during the summer? 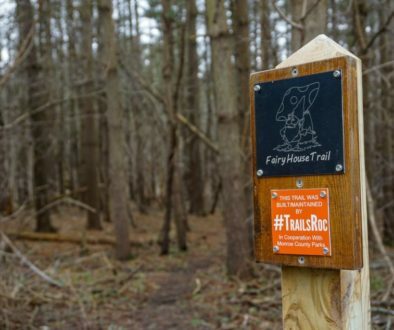 Though New York City and the surrounding radius has the largest Jewish population in the world outside of Israel, regions of Upstate can also lay claim to some pretty important history and Jewish culture. Temple Concord in Syracuse was founded in 1839, making it the ninth-oldest Jewish congregation in the United States. Within Monroe, New York (I know, I know, it depends how you define “Upstate”!) is the village of Kiryas Joel, where nearly all of the residents speak Yiddish and belong to the Satmar Hasidic sect. 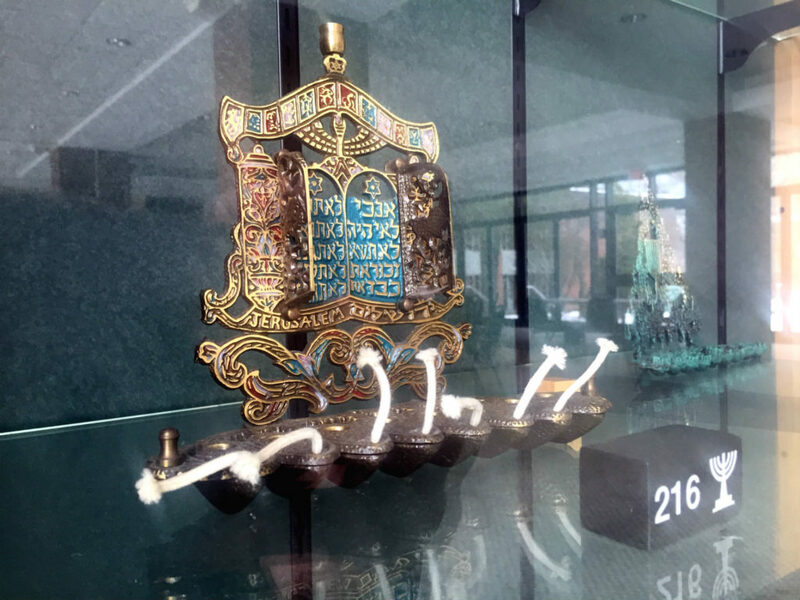 And, in Rochester (where I live) Temple B’rith Kodesh houses one of the largest and most unique private collections of menorahs in existence! 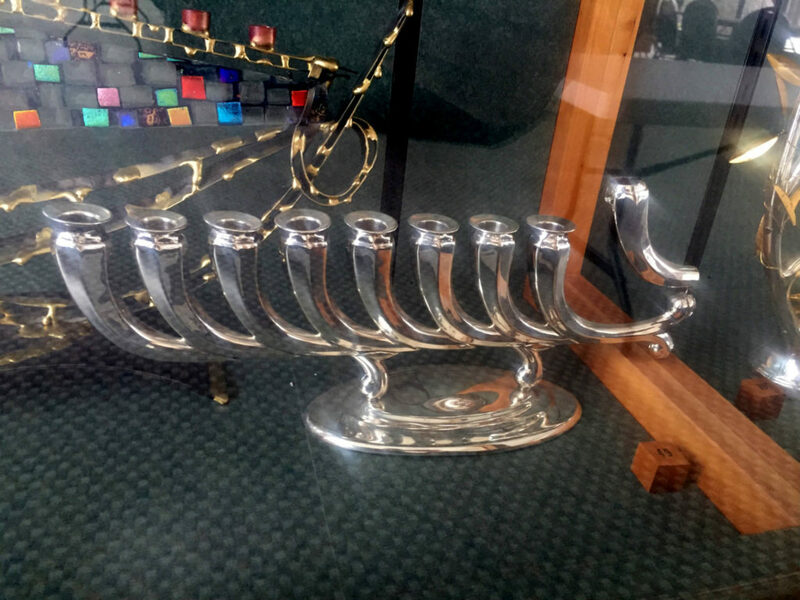 While vacationing in Italy with his wife Kay, retired war General Myron Lewis purchased a menorah they noticed while walking past a shop window. As the two continued their travels around the world, their passion for collecting the lamps grew as quickly as the collection itself. They would purchase a new piece from each corner of the world they visited, quickly amassing a unique collection. Sadly, Myron Lewis halted his world traveling and Judaica collecting when his beloved wife Kay died. Though, he would soon begin again after meeting his second wife, Marcia, who was just as enamored by the collection as Myron was. 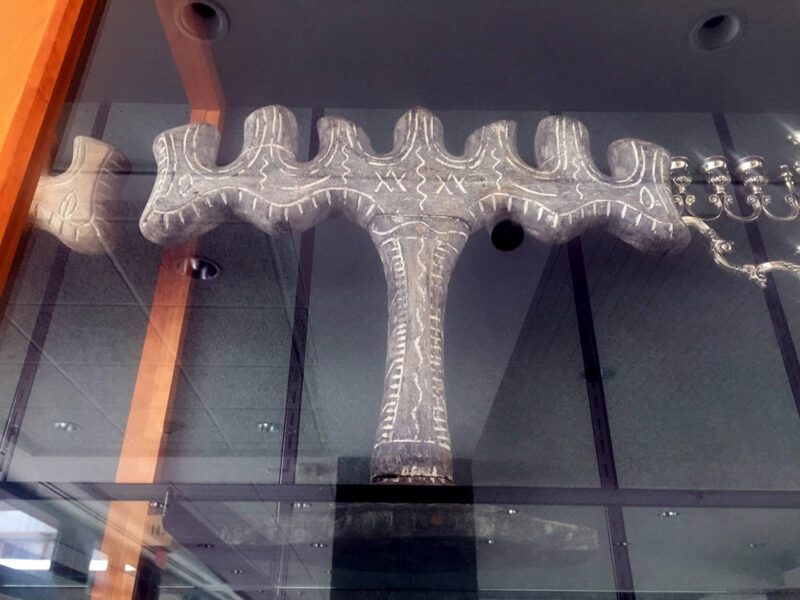 Together, they began again the tradition of seeking rare and unique menorahs while traveling. I had an opportunity to chat with Marcia last week about the collection and she told me, “Chris, they were everywhere. All over the house!” They knew that something so special would require care and a long-term home where it could be enjoyed by everyone. 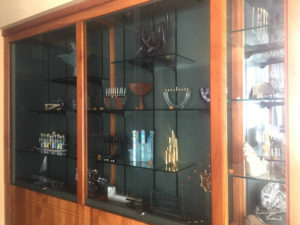 So, in 2001, the Lewis’ donated nearly all of the menorahs that they had cherished for decades. 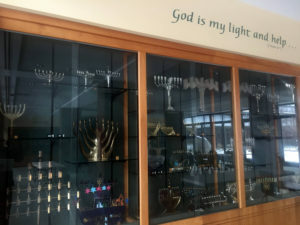 Temple B’rith Kodesh now displays the entire collection in glass cases lining a naturally lit atrium not far from their sanctuary. Audio tours are available for visitors, as well as numbered guides indicating the artists and years each piece was created. Additionally, a beautifully bound hard cover book that gives a further description of each is available to view on site. 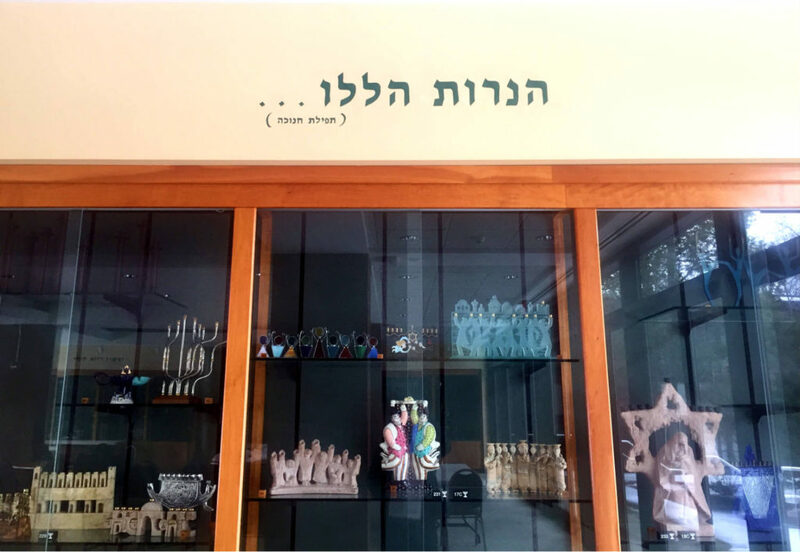 Public collections like the one at The Jewish Museum in New York City house over 1,100 menorahs, but a private collection like the one the Lewis’ amassed is fairly rare. 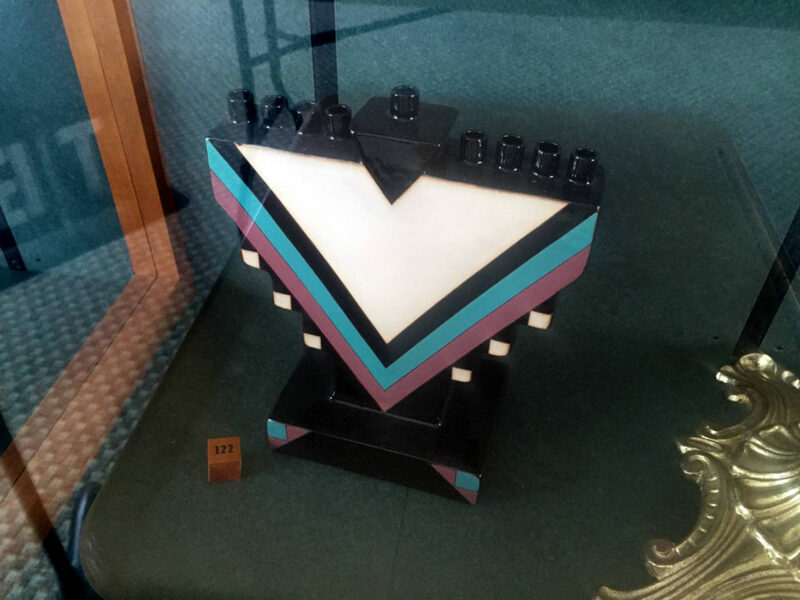 Many of the Jewish temples I’ve visited in New York have some Judaica on display, and some of those pieces are indeed extraordinarily rare. 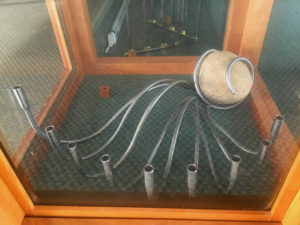 Still though, in my jaunts in and around museums and locales in Upstate, I’ve never encountered a display like this one. Not only is the shear size of the collection unprecedented for a private collection, but the story behind its coming to life is one of adventure and passion. 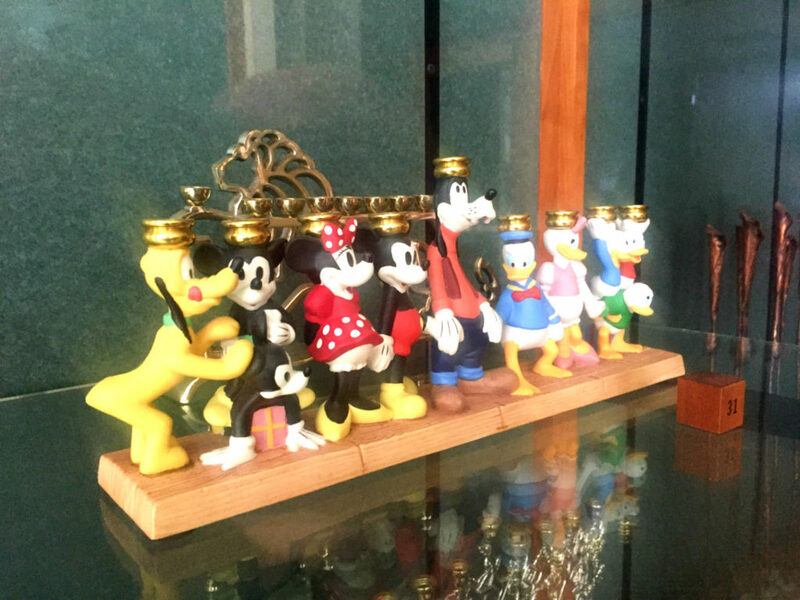 Visitors will immediately recognize that some pieces in the collection are quite simple, or even fun and silly like the one featuring Disney characters. Digging deeper in to the collection, you’ll find that there are rarities like the one created by Salvador Dali–one of few that the famous artist ever made. 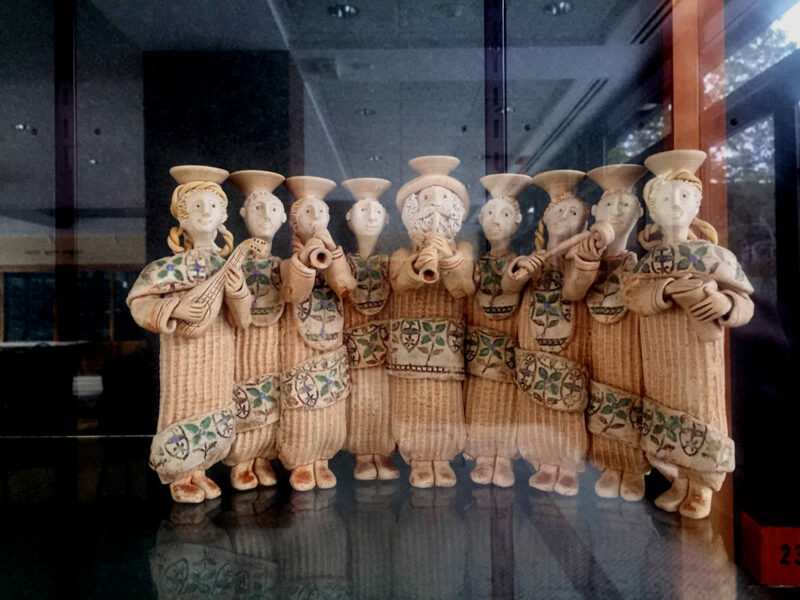 While some are ornate, some colorful, some inexpensive and some that surely were costly, there’s no denying that the collection as a whole is priceless. 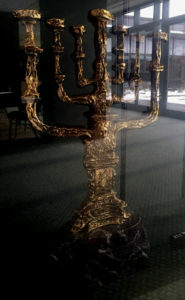 As we enter in to the week long celebration of Hanukah, touring the collection is a great reminder that not only have Jews made an immense contribution to New York, but that legacies like the ones that the Lewis’ have left here in Rochester will surely live on for generations. 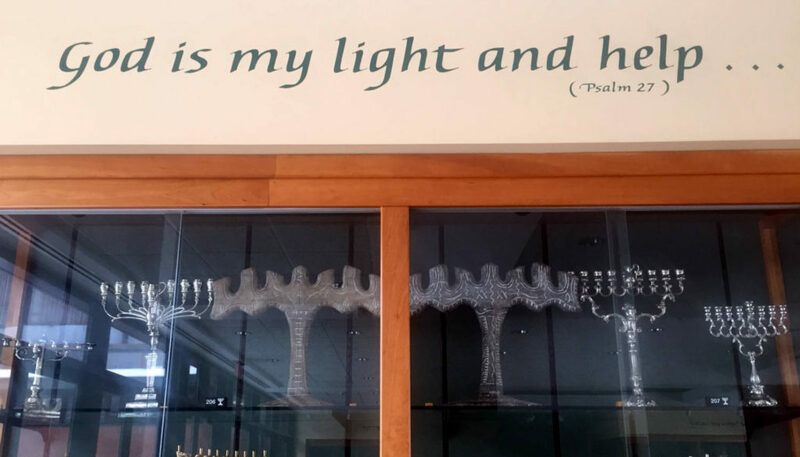 For more information on Temple B’rith Kodesh, you can read about my visit back in 2012. 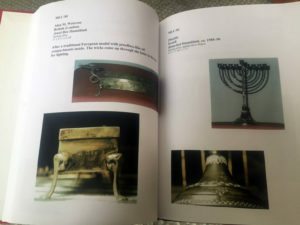 You can also checkout their website for hours on when to visit the Lewis Menorah Collection and view a full list of the collection here. 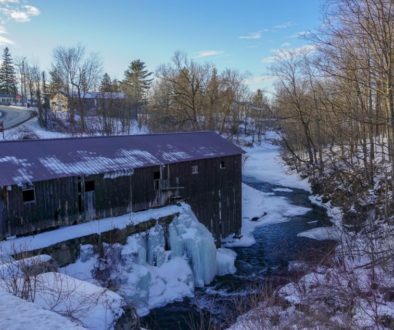 North America’s Largest Collection of Antique Boats	Thanks, 2016.